I have been a health and nutrition consultant, educator and writer since about 2001. I love what I do and I enjoy working with people. However, like most service jobs, consulting involves trading time for money. There is certainly nothing wrong with trading time for money, but it has its obvious limitations. And even though I believe I will always want to “serve others” for as long as I live, I certainly don’t want to be in the vulnerable position of “having to work” to make a living. About the same time I completed my health certification program, I was introduced to the concept of passive income, the type of income where you do the work upfront and get paid for it ongoing. I knew this was true for me and that having one or more passive income streams would give me the freedom to pursue my goals. Thus, since then my primary business interest has been in learning how to do just that—to generate a passive income that exceeds my living expenses! So, I started researching ways to create passive income online. The problem is there are a lot of scams and programs that most people will never, ever succeed at. After wasting time and money on other programs, I became somewhat skeptical that I would ever find anything. Fortunately, in 2009, I signed up for a money-making website course with someone I learned to trust because of his honesty and genuine sincerity. In addition, he was doing exactly what I wanted to do. He had built a few websites, one of which was generating about $4,000 per month, whether he worked on the website or not. 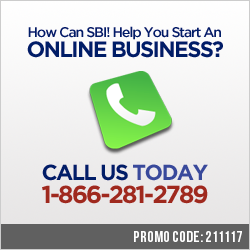 The web hosting program he recommended and used himself was Site Build It (SBI). So, I jumped on board and decided to give it a try, especially since SBI offers a full 90-day, money-back guarantee! Actually, what I found out is that SBI is so much more than a web host. It’s an entire educational program designed to help practically anyone build a money-making information website. I certainly had no web design or programming skills. Nor did I want to learn the technical stuff. What I also learned with this program is that you don’t need a business to promote or any product to sell in order to make money. I found out that people have built successful websites around all kinds of topics, including travel destinations, raising rabbits, natural health, fixing cars, hair-styling, and many more. I have to admit, there was definitely a learning curve for me when I started. It was a lot of work in the beginning. However, it was doable because SBI has a comprehensive training program, which allows you to work your way through the process, step by step, at your own speed. What I liked best about the training was that I could learn while watching an online video or by reading the “Action Guide” – or both! In addition, you can always go back to the training for a refresher course, which I have done on many occasions. They show you how to find a topic with a potential to make money, how to build the website, and how to get traffic to it. Then once you’ve built a solid base, they teach you how to monetize it. To get more of an idea of how this works, you might want to check out the Video Tour. Or you can check out hundreds of successful sites built by people of all walks of life—students, artists, work-at-home-moms, business people, retirees, and even web professionals. All of these sites are in the top 1% of the most successful sites on the web. Be sure to take note of all the different topics people have chosen – all of which make money! I started this website in February 2010, working very part time. It took a year for me to start making money, mainly because I didn’t do anything to monetize it till then. I don’t know, I guess I just wanted to make sure I was providing a lot of valuable information first. But all the work I had put in started to pay off and my traffic started growing. In fact, it continues to grow each and every month. The best part is that I really enjoy what I write about, so it doesn’t feel like work. In fact, in the beginning I did it in my spare time. So, how does an information site like mine make money? One way I earn income is through Google’s AdSense program. Every time one of my visitors clicks on one of the Google ads on my site, I get paid. It’s a small amount, but it started to add up as my daily traffic increased. I also earn income from other advertisers and companies who sell products. I do not have to inventory or sell any products myself, but I can recommend them -- which I do VERY selectively! So, if someone decides to purchase a product I recommend, the company pays me a small commission for the referral. This is called affiliate (referral) marketing. SBI teaches numerous other ways to earn money, which I haven’t even tried yet. The bottom line for me is that I am finally realizing my goal of having a passive income. Even though I am still putting time and energy into developing my website, I know that I could take a month off right now, and still receive the same amount of income (or more) from my website as I did this month. I am not YET at the $$$ amount where my passive income “exceeds my expenses” -- but I know it is possible. It is just a matter of time, and a little good fortune. I will keep learning and writing until I get there. Thank you, Solo Build It, for a "get real" money-making website program! If I can create a money-making website, I know anyone can if you have common sense, motivation and a willingness to learn. Solo Build It provides a viable online business that works—if you work the system. If any of this sounds even remotely interesting to you, I encourage you to look at more Solo Build It case studies. Or feel free to ask me a question here. By the way, Solo Build It’s mascot is the tortoise, for a reason. Slow and steady wins this race—one that can provide a passive income to last a lifetime.